KATHMANDU, Aug 26: The tagadharis or those who wear the 'Janai' (the sacred thread) around their bodies from the left shoulder change the sacred thread today after having a haircut and a bath on the occasion of 'Janai Purnima', also known as 'Rishi Tarpani'. The Buddhists observe this day in commemoration of the day the Lord Gautam Buddha defeated the evil power of lust. This episode is well-described in the Buddhist scripture 'Lalitbistar'. 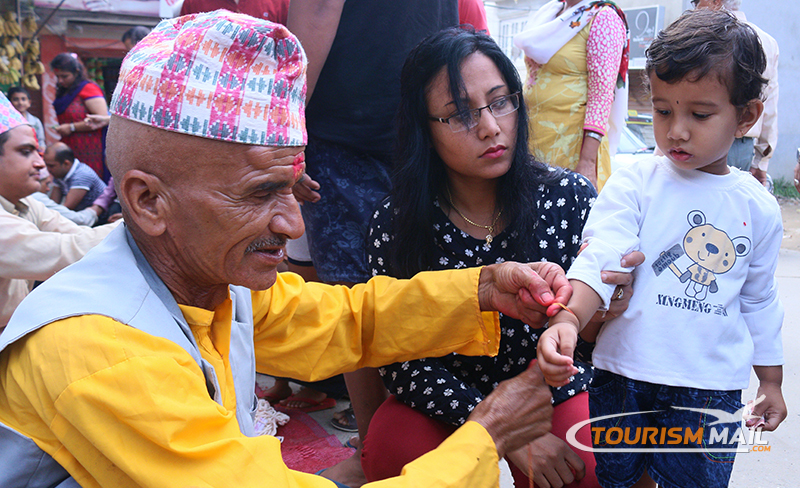 A special fair takes place at Swayambhunath of Kathmandu today for this reason.